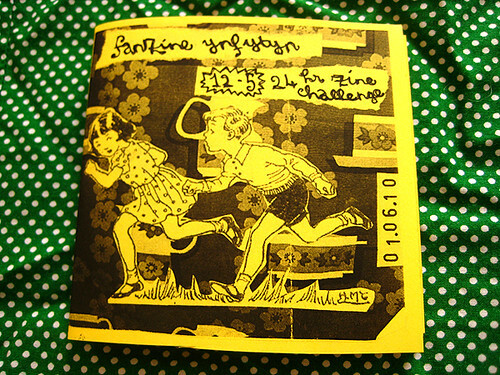 Here’s the zine I made for my second year of the 24hr zine challenge (I did it early, because I’m going to be insanely busy in July). You have to make 24 pages in 24 hours, with no pre-planning allowed. It’s about the best gigs I’ve ever been to, my best bargains at charity estate sales and crosswords.